When you think about an app that lets you voice and video chat with your friends over an Internet connection, Skype undoubtedly comes to mind. The service gained popularity on desktop versions and there are versions of the app available for mobile devices as well. But, as is the case with mobile apps, there are always alternatives. When you first start FriendCaller, you’ll be greeted with a registration screen like the one you see above. You can create a new account or login using your Facebook account or your FriendCaller credentials. Once you’ve logged in, you can send email invites to people in your address book and jump right into making calls. FriendCaller gives you $0.10 of credit to start. Calls to other FriendCaller users are free, but calling landlines and mobile phones does incur a cost based on which country you are calling. Friendcaller provides a handy chart of country calling rates on their website, and you can see how much calls per minute cost from the Dialpad screen. There are six tabs at the bottom of the screen to navigate between the different sections of the app. Let’s have a closer look. 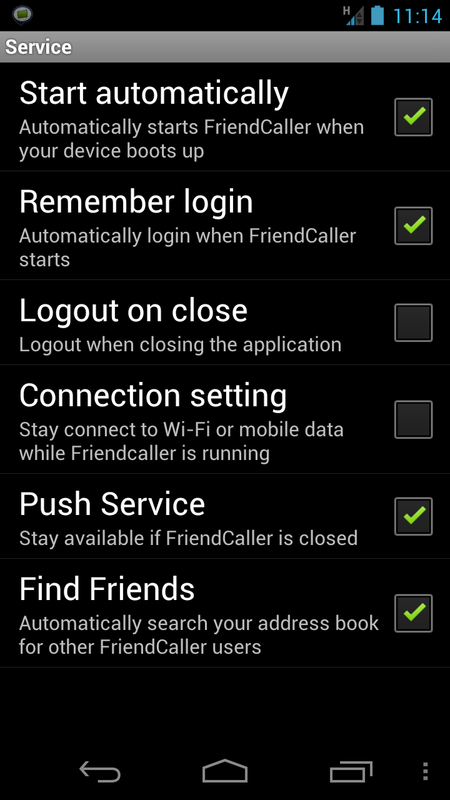 The Friends screen functions as the home screen for FriendCaller once you’ve registered for the service. You can call any of your added FriendCaller contacts from this screen (as well as add new Friends from your address book), or you can add them manually by inputting their name, phone number, and email address. Once you’ve added friends, you can divide them into groups for easy group calls or group messaging. The Contacts screen shows you a list of all contacts in your phone. Depending on what other apps you have installed, you may see several duplicates of your contacts. The contacts are arranged alphabetically, and you can tap the header for each alphabet in order to collapse the section. The Dialpad screen is where you make calls. It’s a standard telephone keypad with a few additions. 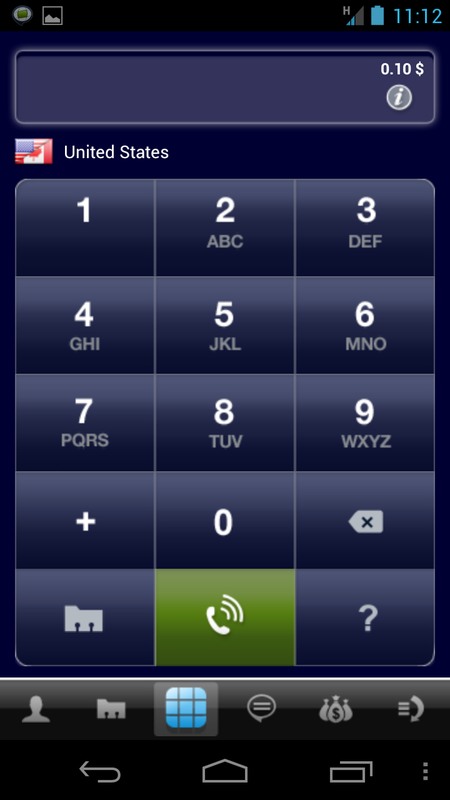 The plus button lets you add a plus sign to your number for dialing international numbers. Under that is a button that brings up your phone’s address book. On the right, there’s a button for deleting numbers that you’ve dialed in using the keypad, and under it is a question mark button that brings up FriendCaller’s Dial Assistant. 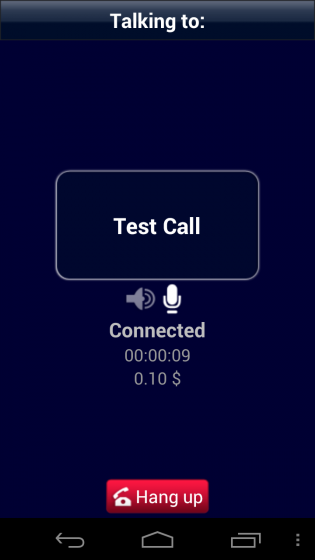 The Dial Assistant shows three boxes where you can easily type in long international numbers and has an auto-correct feature for country codes and some exchanges. On the Messages screen, you can create, send, and reply to SMS messages. The same standard rate for international calls applies for SMS messages as well. Tapping the Contacts icon at the top right of the screen brings up your phone’s address book. 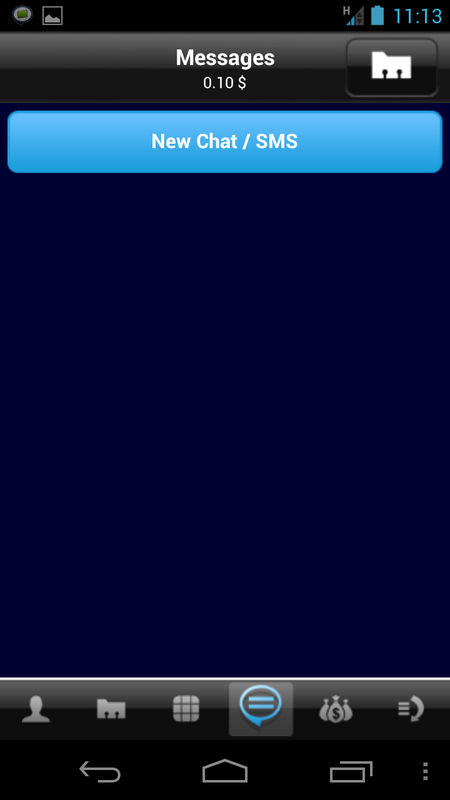 As you can see from navigating through the app, there’s not much that you can do for free. You have the option of paying FriendCaller for credits, but you can also earn free credits here on the Earn Credit page. You can download apps and receive call credits, and there are some paid offers to receive larger amounts of call credits. The History page provides a list of calls you’ve made through the FriendCaller app. The call log is separated by date, and by tapping each date header, you can collapse that day’s log of calls. Tapping the trash can icon at the top left of the app lets you clear your entire call history log. The settings for the app are broken up into six categories: Service, Call Features, Assistance, Default values, Ringtones, and Layout. Under Service, you can choose the app’s startup behavior and its connection setting and push reminders. Call Features lets you toggle the support for video calls, and Assistance lets you toggle reminders about low call credits or new offers on the Earn Credit page. 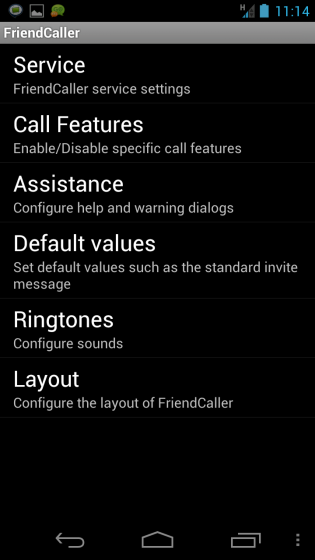 The Default Values setting lets you set your default country code and “push message”, Ringtones lets you change your call and message alert sounds, and Layout simply lets you change the way names on the Contacts screen are displayed. The biggest drawback that I experienced while using FriendCaller was the quality of the calls (both video and audio). I tested this app using a Samsung Galaxy Nexus connected to a strong wireless signal from my computer, and both audio and video quality were choppy at best. I also thought that FriendCaller handled contacts in a rather sloppy way. 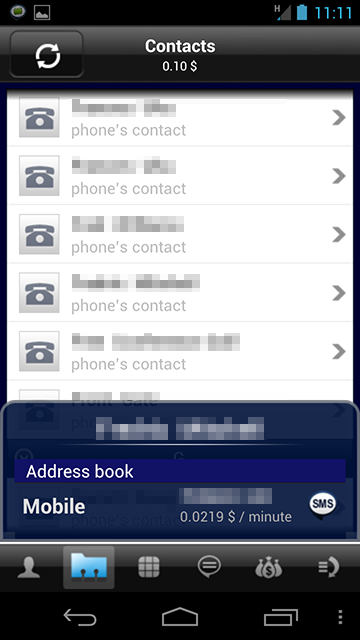 If you visit the Contacts screen, then you see all of the contacts which FriendCaller imports from your phone across several different apps (Twitter, Facebook, etc.). However, tapping the Contacts button on the Dialpad and Messages screens brings up your phone’s address book. In this case, the latter option is more user-friendly than the former since I don’t have the phone numbers or email addresses of all of my Twitter or Facebook friends. 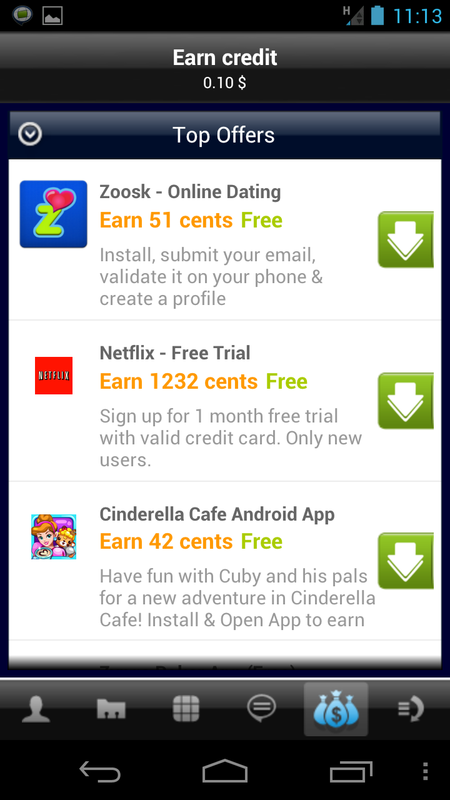 The Earn Credit page, while useful in terms of app discovery, cheapens the value of the app for me. Some of the offers aren’t even for apps — I found coupons for cereal, credit card signups, magazine subscriptions, and more. I’d be interested to know if anyone using FriendCaller really gets credits from partaking from all these different offers or if they feel that that they are even useful. Buying into an app for a subscription is one thing, but buying in for a subscription to Better Homes & Gardens? I don’t think so. The promises of a “real phone number” from FriendCaller are true, but you have to buy credits to add to your account. After that time, you can keep your number free for one month but have to pay an undisclosed monthly fee to keep it. 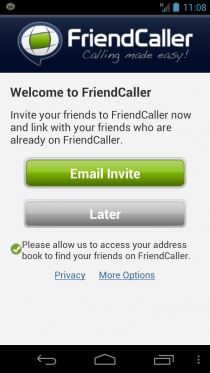 Lastly, I think FriendCaller could improve greatly with a better user interface. I compared the interface for the FriendCaller app between Android and iOS, and I found that the iOS interface was much cleaner in terms of organization and ease of use. (Also, call and video quality were greatly improved.) For example, when you’re in an audio call on the Android version of the application, you cannot use your telephone keypad. In the iOS version, you can. This sounds like a small issue, but if you’re calling an automated system, or even just leaving a voicemail for a friend or colleague, you can’t dial the prompts necessary to proceed. This is a pretty big negative against using the FriendCaller app for Android. 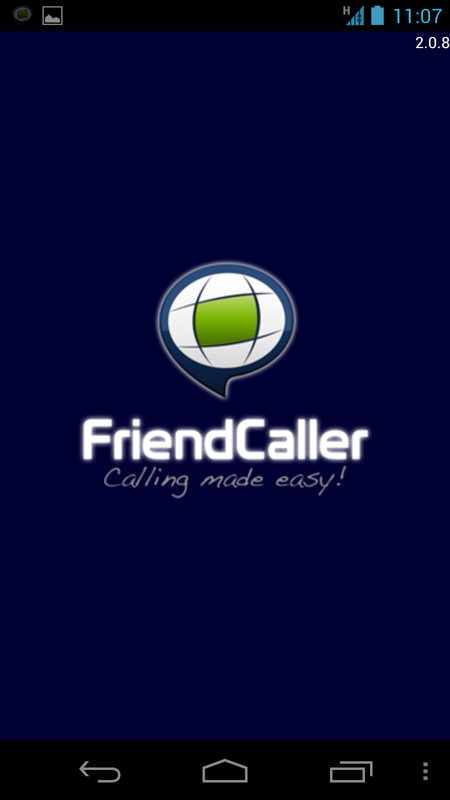 FriendCaller is an app which allows users to make free video calls and phone calls to other FriendCaller members. Many features are locked down unless you pay for credits in either $10, $20, or $30 increments, you won’t be able to make calls to landlines or mobile phones or send SMS messages. Both call and video quality are a bit on the shoddy side for the Android version, and the app desperately needs a better user interface. If you’re looking for a robust and easy to use VoIP calling solution…keep looking. 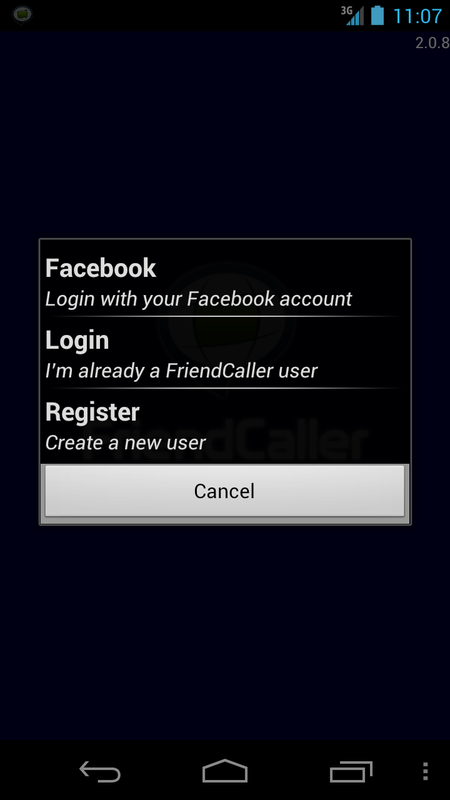 FriendCaller is available on Google Play for free and requires Android OS v2.0 or higher to run. Download the app from the Google Play Store link below or by clicking on the Google Play badge provided.